Huge Savings Item! Free Shipping Included! 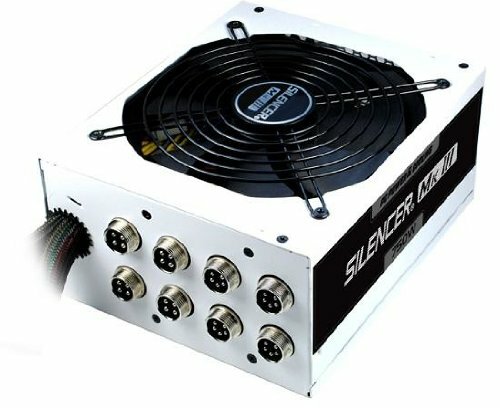 Save 16% on the PC Power & Cooling Silencer Series 750 Watt (750W) 80+ Gold Semi-Modular Active PFC Industrial Grade ATX PC Power Supply 7 Year Warranty PPCMK3S750 by PC Power & Cooling at Pacs BG. MPN: PPCMK3S750. Hurry! Limited time offer. Offer valid only while supplies last. The Silencer MkIII and its award winning Silencer core architecture define the ultimate power management solution for today's PC power users. The Silencer MkIII and its award winning Silencer core architecture define the ultimate power management solution for today's PC power users. FirePower customers can enjoy the almost 30 year heritage of our flagship line of Silencer power supplies featuring rock solid and stable power with ultra-quiet operations and a modular cable design with high performance metal aviation conectors, for a streamlined operating environment. The Silencer MkIII balances the needs of enthusiasts and professionals by combining a powerful single +12V rail and premium grade capacitors. But the Silencers secret weapon is its ultra quite operation. The Mk III sports a new Dual Thermal Control System, a sophisticated operation that allows the PSU to switch between normal and silent mode seamlessly. Backed with PC Power's complete confidence in reliability with an industry-leading 7 year warranty, this PSU offers ultimate peace of mind.